Capture your loved one's hand or footprint, and wear it on your Pandora (or similar) Bracelet! A lovely memento of the birth of a child, a christening or as a way to keep a child no longer in your arms close to your heart. Whatever the reason, you are sure to treasure those innocent little hand or footprints forever. We will send our inkless Ten Tiny Toes Impression Kit, so you can take hand or footprints yourself or, if you already have a paper print that you'd like to use, you can take a clear copy and upload it directly to us or post it to the FingerPrint Jewellery Studio after placing your order. 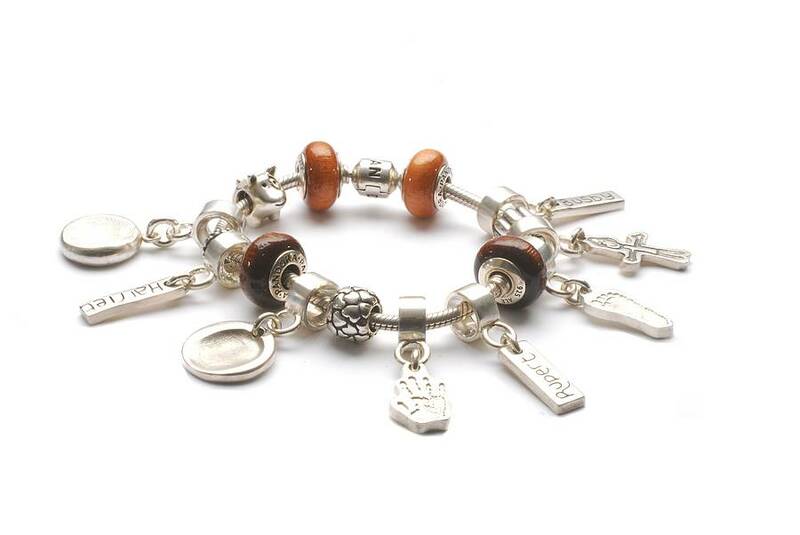 As well as fitting Pandora bracelets, they will also fit other, similar, styles too. 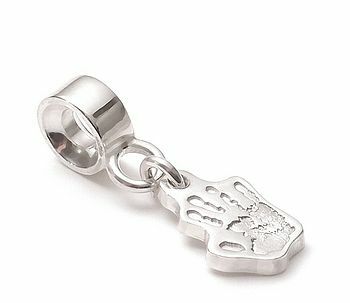 With your child's miniaturised hand or footprint, they make a gorgeous addition to your bracelet, to add that uniquely personal touch. 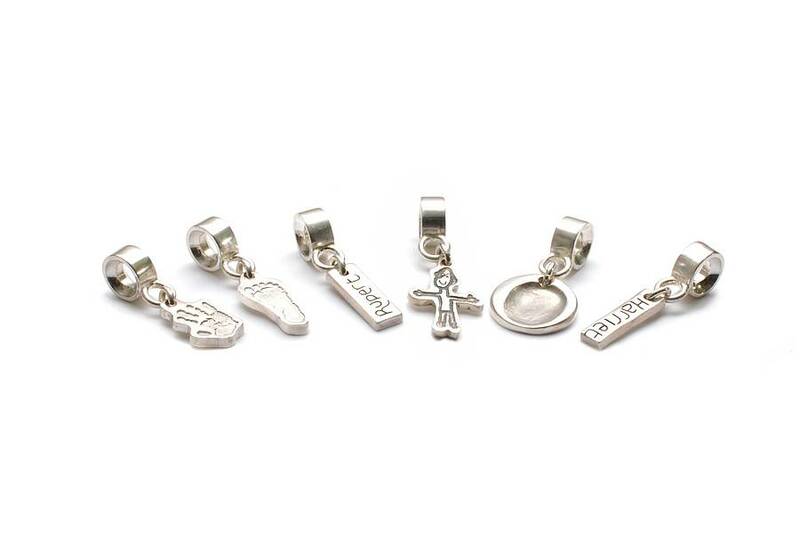 If you would like to personalise your charm even further, you can add an initial on the reverse, too! Also available without the Pandora-style carrier - just select the option using the drop down boxes. This product is dispatched to you by FingerPrint Jewellery. We will post out your Ten Tiny Toes Kit within 48 hours of receiving your order. Once we have received your approved and usable impression/s back in the studio we aim to make your item within 21-28 days. There will be a cut-off date for busy times of year, this is the date that we need to receive your impressions by in order to allow us enough time to make your jewellery/keepsake.